An International project-based collaboration of artists working together to create live musical-visual performances. The group established during a residency at DAR residency (Lithuania) in 2014, was formed out of the 9 original members chosen by Egidija Medeksaite (composer), Sound and Music, in partnership with The Lithuanian Composers' Union, AIR KREMS and The ISCM - Slovak Section and A.I.R. KREMS (Austria). During the residency the group developed an artistic dynamic process based on musical and sonic improvisation, oscillating between sound, text, body movement, theatrical gestures and visual expressions. The uniqueness of this dynamics, lays in the principle of letting any form of expression enter into an artistic procedure, modulating the final event. The process starts with the search (via improvisation), for hint arrangements - evolving out of the distinctive combination of participants and materials. The artistic, as well as, thematic input is based on devoting attention to those interactions and forces, allowing the process to take its own root, creating a musical/visual/textual as well as, socio-political expression. The final outcome takes the form of live musical-visual performance and art installation (OperaArt). 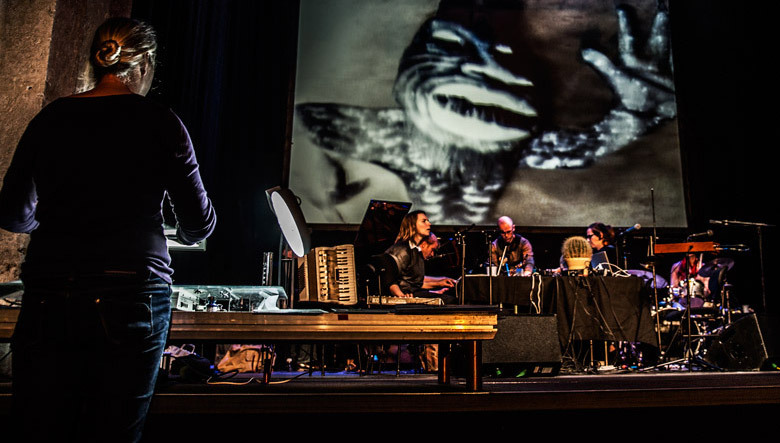 Each concert of ‘Summer Garden Photograph' - the group's first work (now touring across Europe) will evolve its structural process, making each performance unique, while allowing a flexible dynamic output. The group wishes to continue this process in developing further work and collaborations within the group and with invited artists.